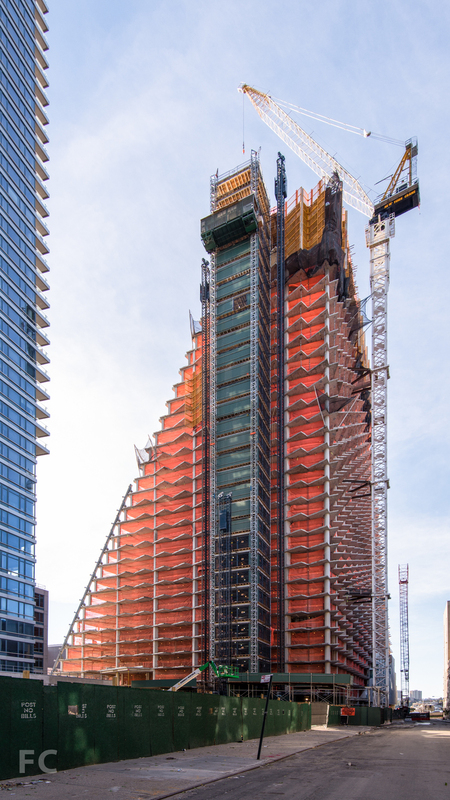 When we talk about the batch of luxury towers coming to 57th Street, we’re typically talking about very tall, very skinny, very glassy buildings. 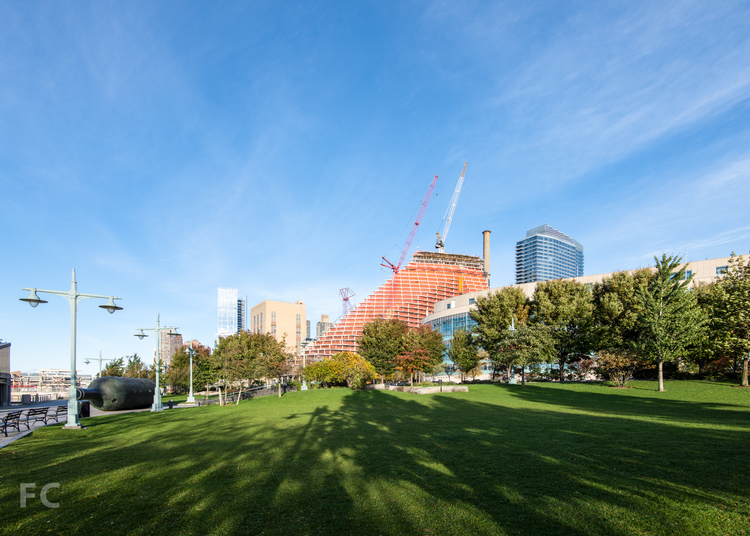 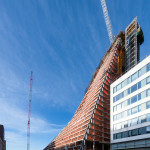 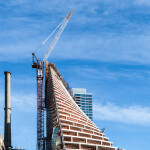 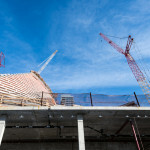 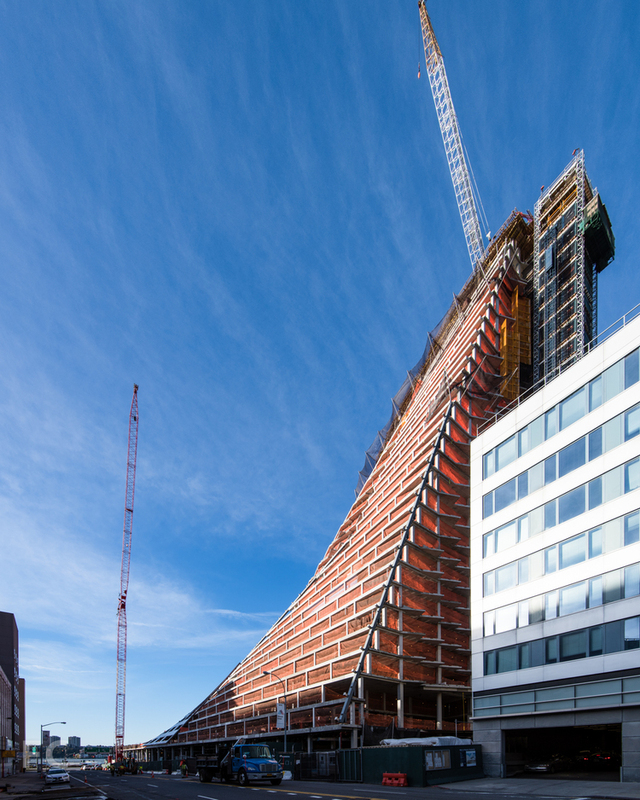 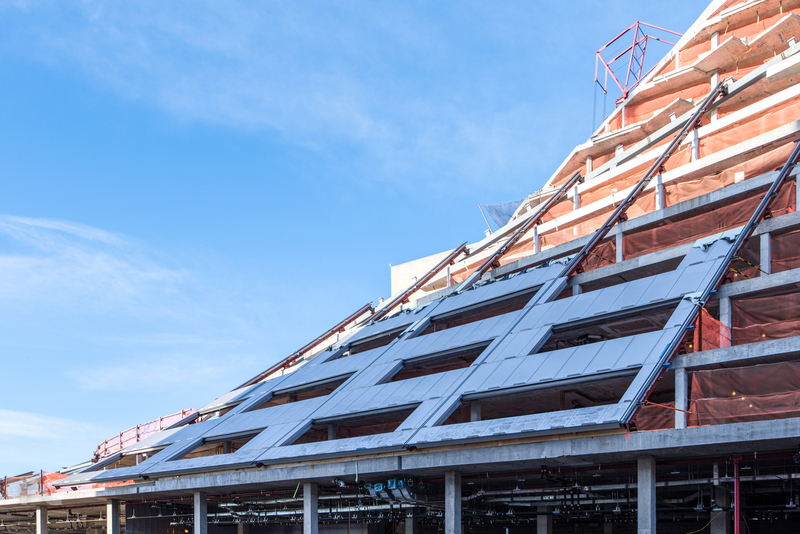 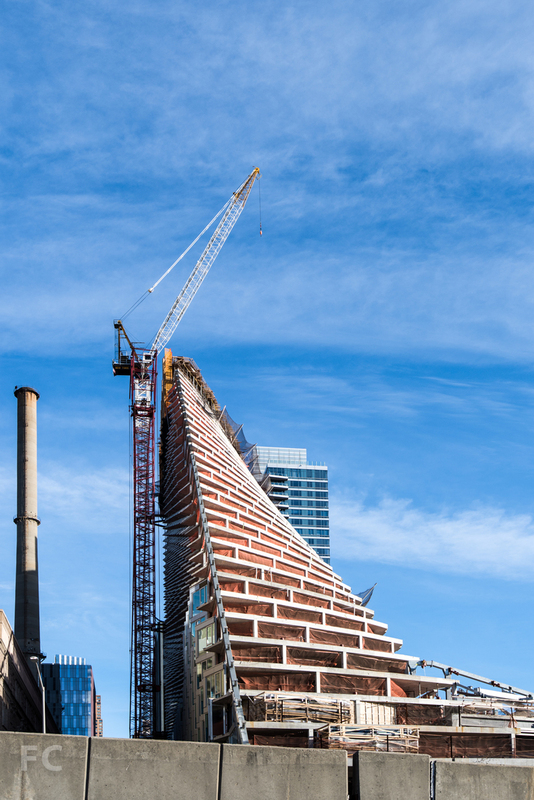 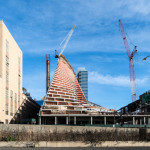 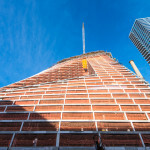 But not, of course, when it comes to W57—Bjarke Ingels‘ very pyramid-y addition to the street he calls a “court-scraper” for its combination of the European courtyard building with a New York skyscraper. 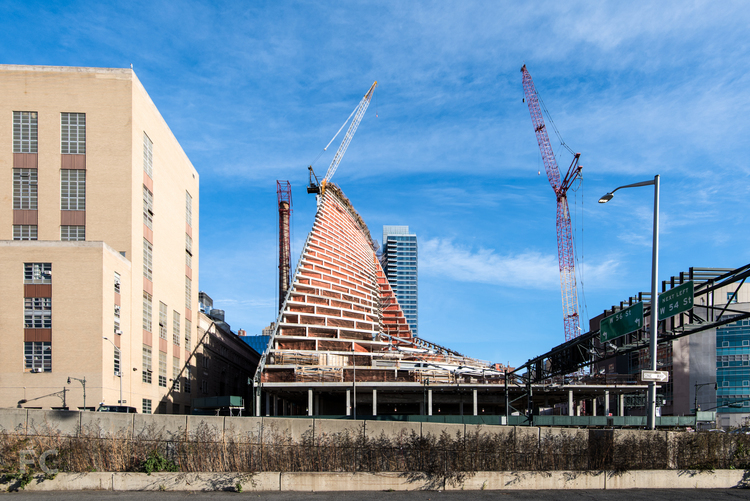 Last time we checked in on Bjarke’s pyramid—sorry, Durst would prefer we all call it a “tetrahedron”—it was only a few stories high. 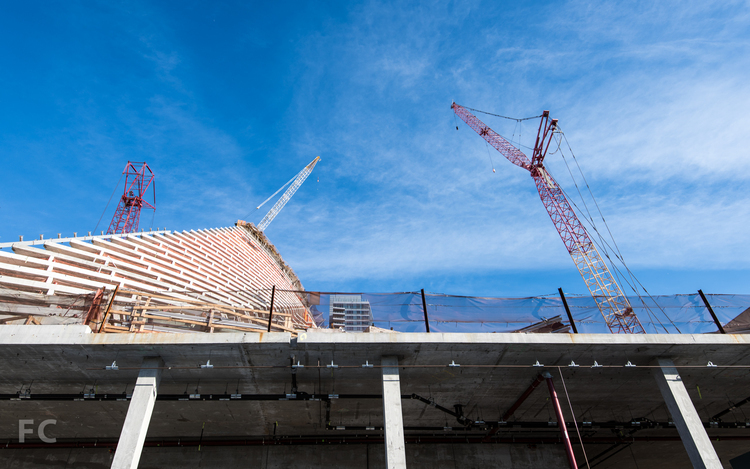 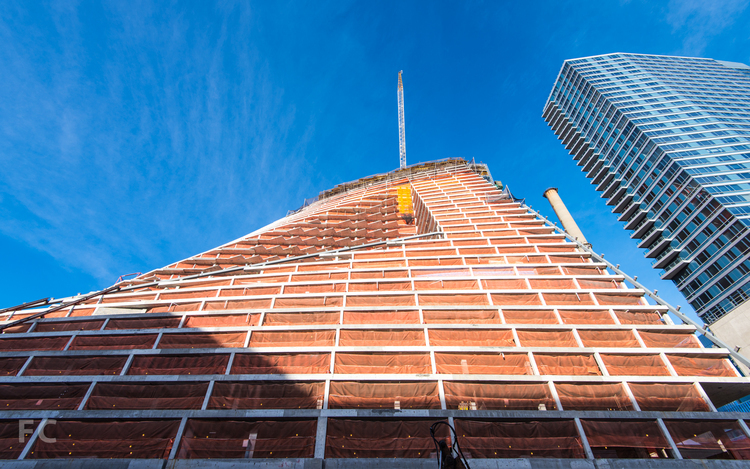 That was back in June, and since then, the sure-looks-like-a-pyramid has topped out at 450 feet and crews have begun installing its facade. 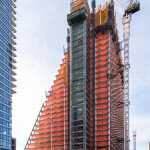 Field Condition, a site that tracks construction projects around New York City, recently visited the tower and documented all that progress. 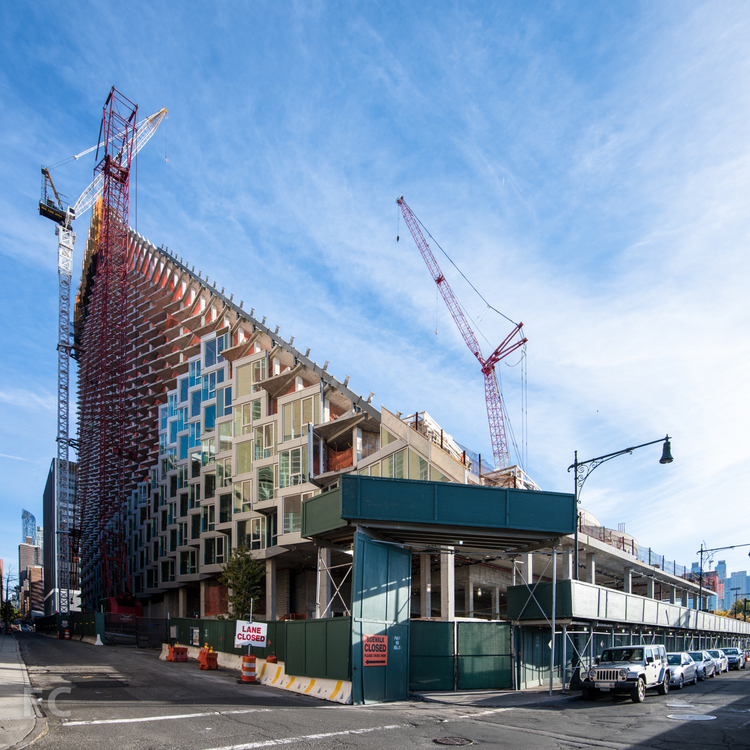 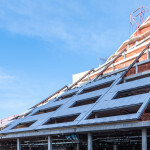 When W57 is completed next year, it will contain 709 rental apartment (20 percent of which will be below market-rate) and 45,000 square feet of commercial and retail space. 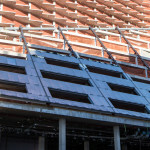 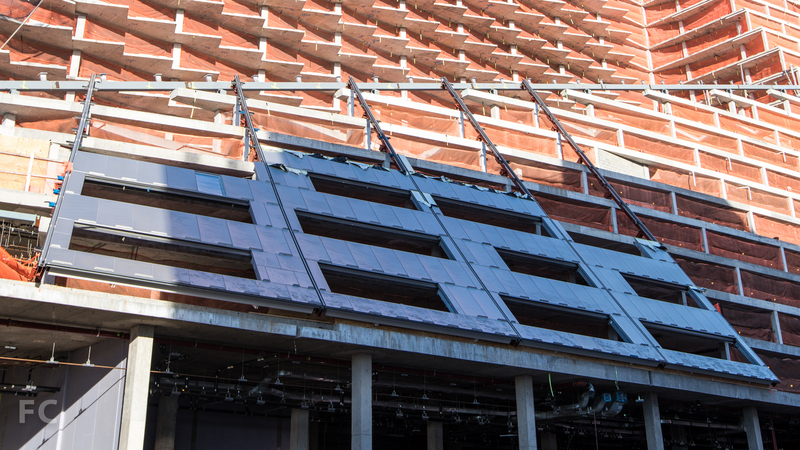 The structure will also have a massive courtyard cut into its sloping side.